In a recent stage, several biomedical researchers are on the verge of creating Pediatric Cell Atlas, which has been termed as a powerful resource in getting finely grained study in human growth and developments. 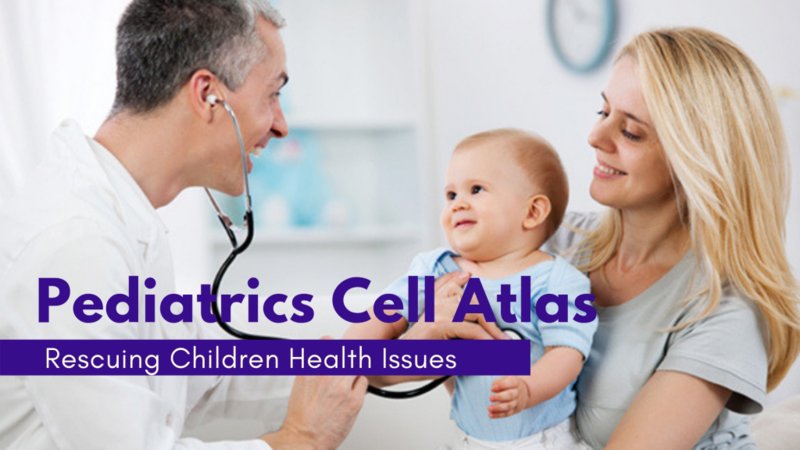 International conference on pediatrics health gives data on the recent advancements of pediatric cell atlas. Currently, while drawing events on improvements in technology, the Atlas plans to offer on the unprecedented window which has unique data on the biology of children which benchmarks on healthy and abnormal tissues. These are considered as the basic units of biology and the level in single cell structures. In the recent phase, pediatricians are quite familiar in the information of children not being a small adult. The director of Bioinformatics in the Department of Biomedical and Health Informatics at Children’s Hospital of Philadelphia feels a similar aspect in the approach of child care facilities. Further, he states that childhood diseases, symptoms and therapies to these symptoms are mostly aged dependent. The physiology of these diseases and a perfect presentation to drug responses is therefore needed to be done in the adults. With Atlas, there has been a reference tool which is showing up about cells further helping a child is growing healthily. On a global perspective, parents are most familiar in the proportion of growth charts, which on other than a pediatrician logs for a child’s height and weight to the national average measurements. In recent time, PCA is continuing to compile further some age matched up the path of tissue and organ process in most healthy children. In recent time these are further referenced certain key data patterns and cell differentiation and signaling of cells. As a result, the trajectories are offering a standard definition to researchers in understanding better on childhood illness and diseases. Further, while accounting for these influences, the effect on environmental factors also serves as a case study. On the overall, the support for the pediatric research purely lags the support in for an adult health research program. There is also strong evidence of lagging in the breakthrough of biomedical discoveries which are translating the clinical treatments for children on an overall. Pediatrics Conference 2019 is an upcoming Conference on pediatrics, to be held in Italy. It serves as an excellent platform in focusing the Advanced concepts of Frameworks in Children health and Adolescent treatments. The pediatric meeting will further include workshops, symposiums, and special keynote sessions. These speakers greatly excel in a field of neonatology and pediatrics further. Amid all these the global event put forwards the participation of young students and researchers for building the domain. Additionally, the hosting of the Poster Award Competition will be held along the Young Research forum at the conference venue. It is an important opportunity in the field of Marketing, sponsorship and Networking advancements.